If you get any problem at the time of paying bill you can read last steps of this article of how to use this app ? Update :- One more New coded added working for all users. Here we Shares latest working Pockets app Utility bill payments Cashback Offers , Promo codes , Coupons codes , Offer codes , Discounted deals and Lots of Excited Offers which will help to save money on your bills. First of all this Offer code – BPAPRIL10P will work on Above Rs. 100 Bills. You can use thrice times During offer period but its For only android users. Make your Payment by Wallet only to Avail this offer. 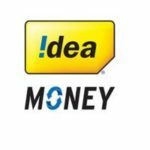 Your cashback up to Rs. 50 will be credited in 5 working days in Your pockets wallet. Offer is not working for Airtel Network and Electricity & Gas utility payments at Pockets app also it is valid till 25/4/19. Pay your Dth , Postpaid , Landline bill Payment. 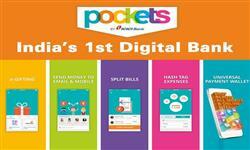 First of all Download Pockets app in your smartphone. Now make new account or Login. Now Select ‘Pay bills’, click on ‘Add/Pay new bills’ and choose ‘Biller category’. Now apply code from Above offer. Pay Payment by any Offer mention method. 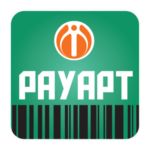 Discussion on "Pockets App :Utility Bill Payment at 10% Cashback Offer"